Want to change your site’s domain name after a business rebrand or to simply switch to something shorter? That makes sense. But how do you keep any “SEO advantage” that you’ve already built with your existing domain? It turns out that the process is more complicated than you might think, requiring you to pay attention to a lot of details along the way. This was all written with (self-hosted) WordPress users in mind, but there are other platform-specific instructions in the FAQ section. 1. You’re rebranding your business or changing your specialty. Maybe you used to be a wedding photographer (and you had “weddings” in your domain name), and now want to transition to something else. Then yes, changing the domain name to reflect your new business name is probably the right move. And it’s a good idea to also keep your older domain name and have it redirect to your new one, to transfer over any existing SEO value that you have. More on this below. 2. You just want a shorter/simpler domain name. Should you now move your site to the new “home”, or keep using the existing/old one? There’s no easy answer, it depends. Transitioning to a different domain requires quite a lot of work. You could just purchase the new shorter domain for “brand protection” or for future use, and have it forward traffic to your existing longer domain for now — no big website changes needed in that case. But that’s not the ideal scenario. When you promote the separate shorter domain (on social media, business cards, etc. 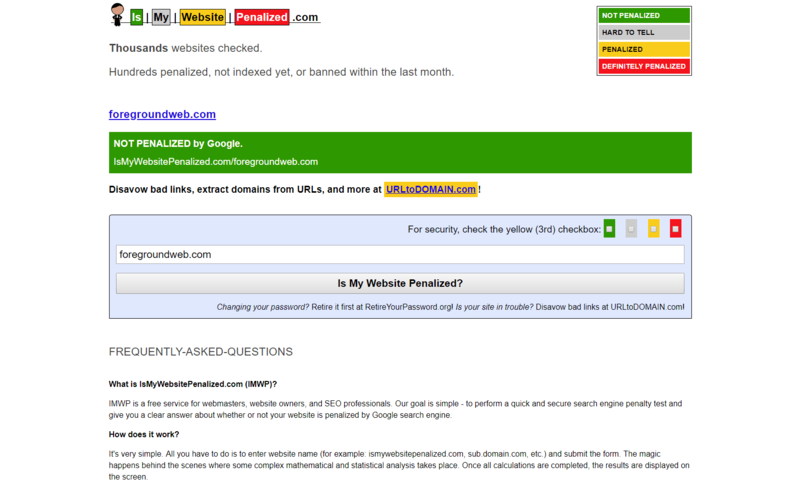 ), users can get a bit puzzled by the fact that they’re being redirected to a different longer domain. That extra bit of confusion matters more than you think. So there is a case to be made for actually migrating your site to use the shorter domain. And most successful photographers out there just have their own name (without any other “photography” or similar suffix) in the domain name. They don’t feel any need to specify their business category in that way. If you do decide to change your site’s URL, then you need to go through the steps below to do things right! Skip this step if you’ve just purchased an entirely new domain name. This information only applies when you bought an older domain from someone else or at a domain auction. 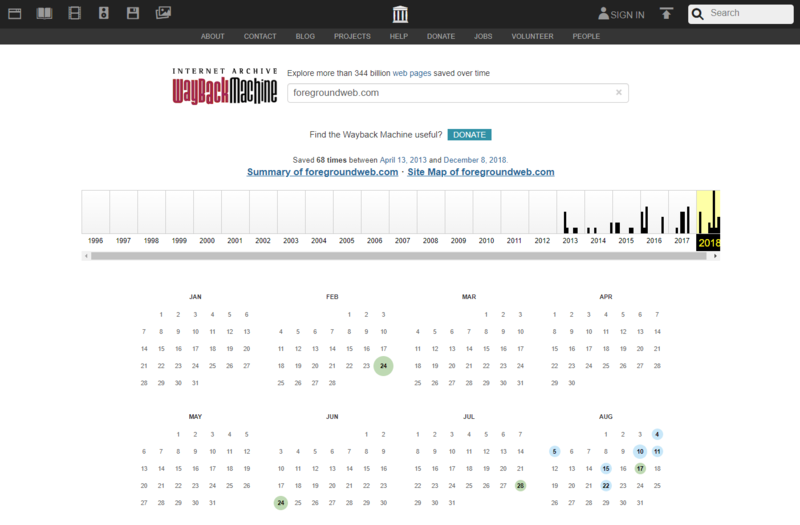 Then you can search for the domain on archive.org to get a history of what actual website pages were displayed on it. If you do get results, take a close look at them. Any spam or low-quality content? 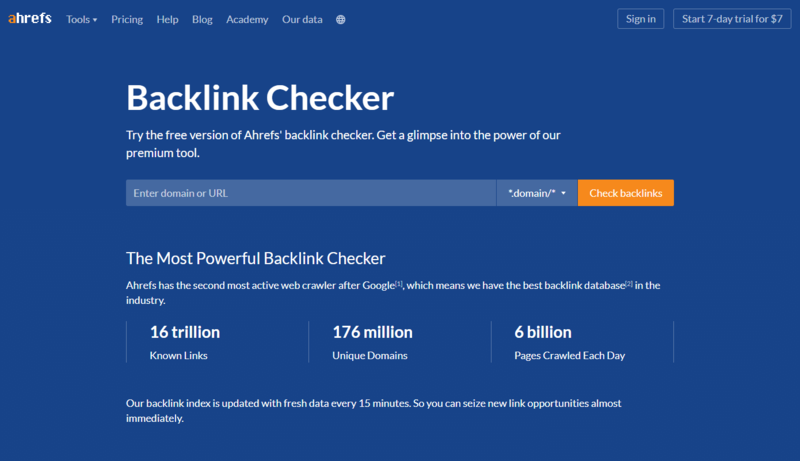 To be really thorough, you could also search for the domain using ahref’s Backlink Checker tool. The free version of their tool allows you to see a small set of backlinks for that domain, and to get an idea of its overall history. 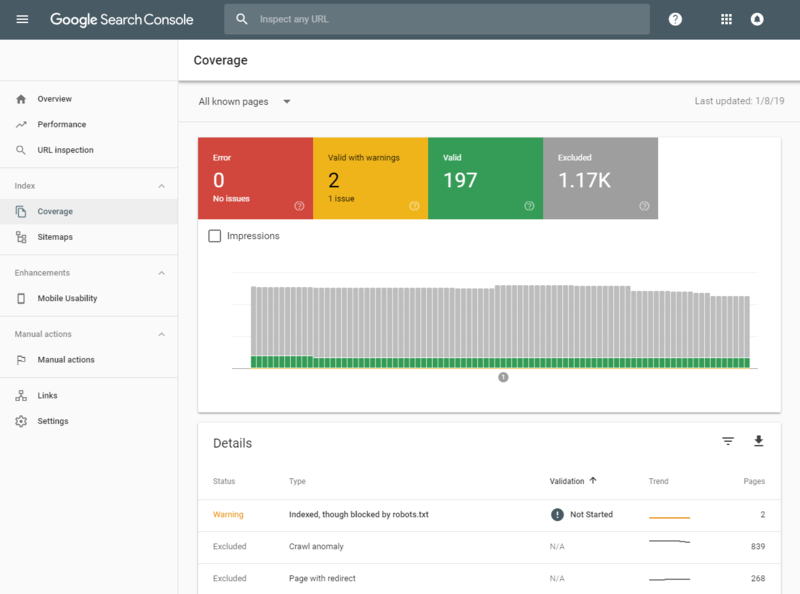 And if there’s something live on the domain already (a full site or just a single page), you could also add it to Google Search Console. That will tell you how well it’s been indexed by Google and if there were any manual penalty actions taken against your domain (in case it’s been recognized by the Google team has having spam content or engaging in black-hat SEO practices). If you do notice any manual actions applied to your domain name in the past, you have to stop here and address those problems first, and then file a reconsideration request to have Google lift those penalties. 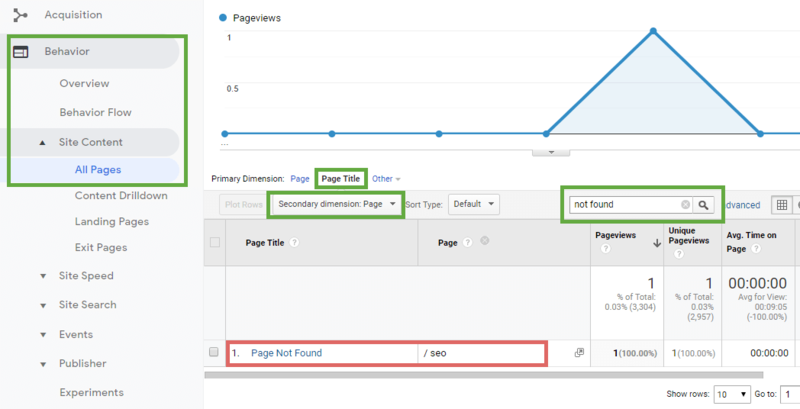 Before making the switch, it’s a good idea to make an inventory of your existing SEO status so you can make a before-and-after comparison later. And you can get a list of backlinks pointing to your site using the ahrefs tool I mentioned above. Time to clone your site’s files over to the new domain (aka “migration”). How you do this depends on your hosting situation. This is where it gets really technical for a moment. If you don’t have much experience with WordPress and are looking for a more automated solution, consider using a dedicated migration plugin. As a developer, I prefer taking the manual approach to be in control of all the finer details. But most photographers would be better off using a migration plugin. If the new domain uses a different hosting service, then you first need to export the website files (and database, if using WordPress) from the old hosting location, and then upload it to the new host. If the new domain uses the same hosting service (a likely scenario for most people), the hosting company probably created a new folder for you for the new domain (which becomes an “addon domain”). You just have to copy the site files from one place to another. WordPress users would also need to create a new SQL database and clone the old database contents, using the Import/Export feature in the phpMyAdmin tool offered by the hosting account. At this stage, for a brief moment, you should be able to access the same website from both the old and the new domain names, a good opportunity to compare and make sure that they look identical, that the cloning process was successful. Obviously, it’s not a good idea to keep both domains showing the same website for long (it’s “duplicate content” in Google’s eyes, don’t have them both live for more than a few days), so we’re going to address this quickly in the next step. If you’re a developer or experienced user, you can do this entire step more quickly, by moving the files and reusing the same database. Otherwise, play it safe by cloning/duplicating your site and making sure it works well first, without affecting the old site in any way. One more thing: a common omission here is when internal links in the new domain still point to the old domain. That’s because all links on your site (included in the page/post content) are in the SQL database that you cloned. On the homepage of your new site, you don’t want to click on “About” in the navigation menu and end up on olddomain.com/about. So you’ll want to eventually update all those internal links. 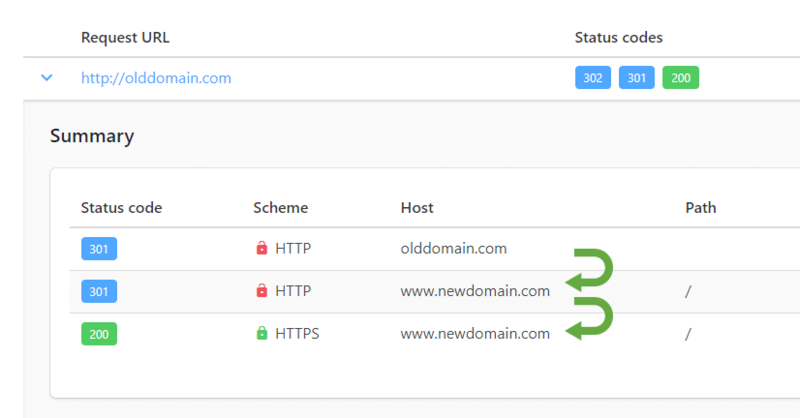 A simple solution is to first use a broken link checker tool and then use a find-and-replace plugin like this (search for “olddomain.com” and replace with “newdomain.com”) to update all those links in one go. By “redirects”, I’m referring to permanent “301” redirects, as opposed to the temporary “302” variety. Redirect are essential for driving traffic from the old domain over to the new one. It’s the critical step that helps you maintain your search engine rankings in a significant URL change like this. Redirects help Google understand that your website content has moved to a different home and to update its index accordingly. And the important thing here is that you don’t just want to redirect the homepage of the old site to the homepage of the new site. Maybe other websites are already linking directly to an internal page or blog post on your site, you want to make sure that those links eventually take users to the right place on the new domain. So instead, you need a “wild card” redirect which makes each page/post/file point to its new location. This type of redirect is ideally added at the hosting account level (in a file called .htaccess) — you’d have to Google “[host] wildcard redirect” to find the right instructions for your specific hosting provider. Example of a 2-step redirect chain. The 301 status codes mean “permanent redirect”. The 200 status code means “OK, website loaded fine”. This scenario can be further improved by redirecting straight to the HTTPS version of the new domain, making it a single redirect step. Those redirects will probably stay in place indefinitely (since other websites will not update their links to the old domain). These redirects are incredibly important for SEO too: they help Google to understand that all those pages have now permanently moved to a new location, and to update its index accordingly. Any ranking signals (aka “SEO value”) will slowly get transferred over to the new domain. This process can take up to a few weeks, but you can speed it up by following the next step. 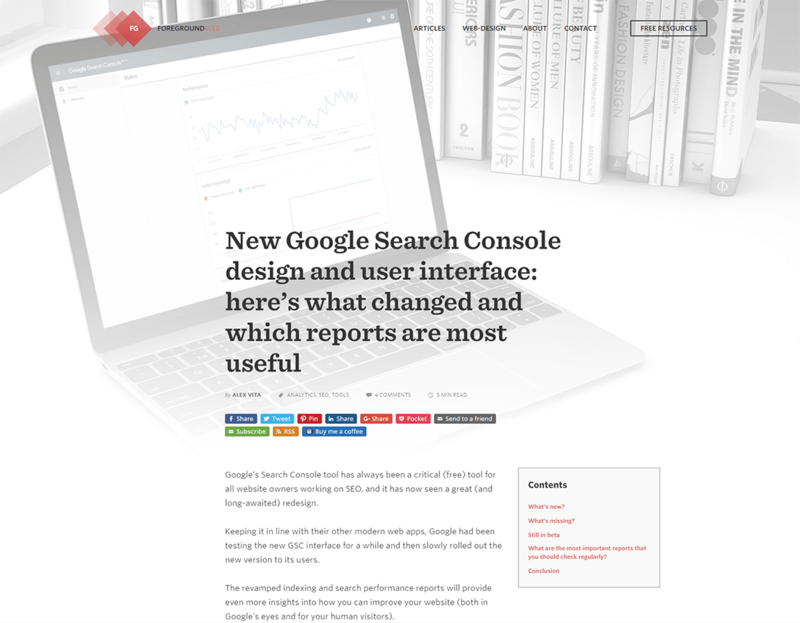 Your best tool for the job is Google Search Console (GSC), and it’s free. If you don’t use it already, you should, it’s one of the most important things you can use in your SEO toolbox. Option 1 would be to use the “Change of address” feature (only available in the old version of GSC at this time), which requires that you first add and verify your new domain in GSC. If for some reason you can’t accomplish those steps, option 2 would be to at least submit sitemaps in GSC for both the old and the new domain, so Google becomes aware of all the 301 redirects you’ve put in place in the previous step. With the domain change complete, it’s now time to double-check that everything is working well. Feedback from friends/followers. Maybe they catch errors that you didn’t see. Then of course also reconfigure your email clients to be able to read and send from the new email address. Also a good idea to now forward your old email account to your new one. You could also try to manually contact the owners of other sites linking to your old domain, asking them to link instead to your new site. Could get really time-consuming, so prioritize by traffic volume (Google Analytics > Acquisition > All Traffic > Referrals). For optimal results, keep the old domain up for a least 2-3 months – just for the 301 redirects. You should no longer be able to load the site on the old domain at this point because that would be considered “duplicate content”. So I’m referring to only keeping your old domain available to have the redirects working for a few months. That gives users and search engines enough time to process all those 301 redirects, helping transfer all of the “SEO juice” from one domain to the other. After that, you can stop renewing the old domain to avoid any extra payments on it. Unless… you’re a well-known photographer and you get a ton of traffic (>10k visits/mo), which means that you still have a ton of backlinks pointing to your old domain. In that case, consider keeping/renewing it for a few more years. That’s around $10 per year in exchange for keeping all that traffic (and redirecting it to your new domain, of course). Finally, the time has come to now notify current clients and website visitors through a new blog post, newsletter subscribers through a new email campaign, and followers through a series of scheduled social media posts! This is especially important if you also went through a rebranding process, in which case it’s a good idea to start consistently referring to your business as NewBrandName (formerly known as The Artist formerly known as OldBrandName). Will changing to a shorter domain help with SEO? And will including photo[graphy] in my domain name help with SEO? Short answer: don’t do it for SEO purposes. It’s an insignificant factor. Do it for business reasons (so you can only have your name in the domain, to maybe also focus on other aspects except photography in the future) and for user-friendliness (shorter domains are easier to type and remember). What if I have multiple sub-domains and/or sub-folders in my old site? With multi-part websites, things can get complicated very quickly, especially when using different platforms in what’s called a “hybrid” website. You’d definitely want to start small by tackling each sub-site separately, beginning with the lowest-traffic one. This video from Google explains it well. Can I also change the design after the site is on the new domain? Yes, but that increases the risk of negatively affecting SEO. As stated in the Google video above, you want to decouple the domain change from the site redesign. If anything goes wrong with your search engine rankings, you won’t be able to identify the culprit. Is there a limit to how many 301 redirects you can have? No, not at all. In fact, “wildcard redirects” are exactly for cases where you want to redirect unlimited pages. Google further clarified it in this video. How long will it take for Google to update its index? There’s no precise answer here because Google’s crawl frequency is not publicly specified. Does switching from HTTP to HTTPS follow the same steps? While it’s technically the same root domain, it’s still considered a big URL change. But you can probably skip steps 1 and 2. Steps 3 and 4 are as easy as getting an SSL certificate from your hosting provider and then using a plugin like Really Simple SSL. 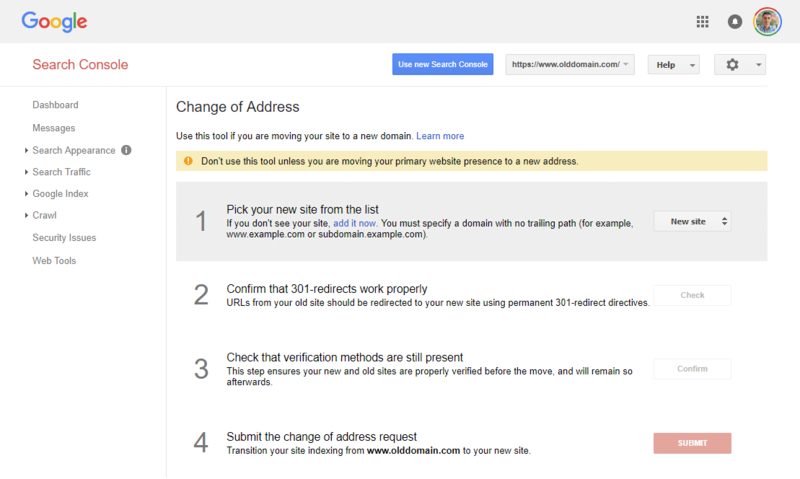 For step 5, you still have to add the new HTTPS property to Search Console (because Google considers it a site move), but you should not use their “Change of address” tool anymore! What if I’m using WordPress? Then all of this article should be valid in your case, it was specifically written with WordPress users in mind. What if I’m using Squarespace? Squarespace provides a relatively easy way to add a new domain to your account and then to set it as the primary domain. The old one will then automatically redirect to the new one. What if I’m using PhotoShelter/SmugMug? Assuming you use your own custom domain with your PhotoShelter/Smugmug account, step 3 becomes a simple change in the account settings. The problem though is that they don’t redirect the old domain to the new one, that’s your responsibility, so you should still work on setting up the wildcard redirect described in step 4. What can I expect if I follow these steps? Will my website drop in Google search results? Otherwise, if you don’t redirect the old domain to the new one (or if the redirects aren’t implemented correctly), you will notice ranking and traffic drops. And it will then take Google a lot longer to discover and index the pages on your new site. But if you make all the changes correctly, you can expect just a very short-term traffic drop, followed by a growth back up to original rankings levels (or even higher). Don’t skip the testing period outlined in step 6 above, you should be keeping an eye on traffic levels and crawl errors for the first few weeks. Can I outsource all of this work? Do you offer this service? What would it cost to hire you for migrating my website to a new domain? Yes, I have a lot of experience handling all these steps for photographers. The cost of such a project obviously depends on your site’s complexity and a bunch of other factors. Keep in mind that such a website change is usually an excellent opportunity to also do a content overhaul (to review and clean-up your existing content) and to modernize your site’s design. Get in touch with me to learn more. If you’re going through a rebranding period, or just want to consolidate your online presence into a different domain name, this guide provides a low-risk process to help you maintain your SEO rankings. Some of these principles also apply to other risky website changes (redesigns, server upgrades, platform changes, etc.) and should be approached with enough time and attention.